Wine and Candle Photo Submission begins today! 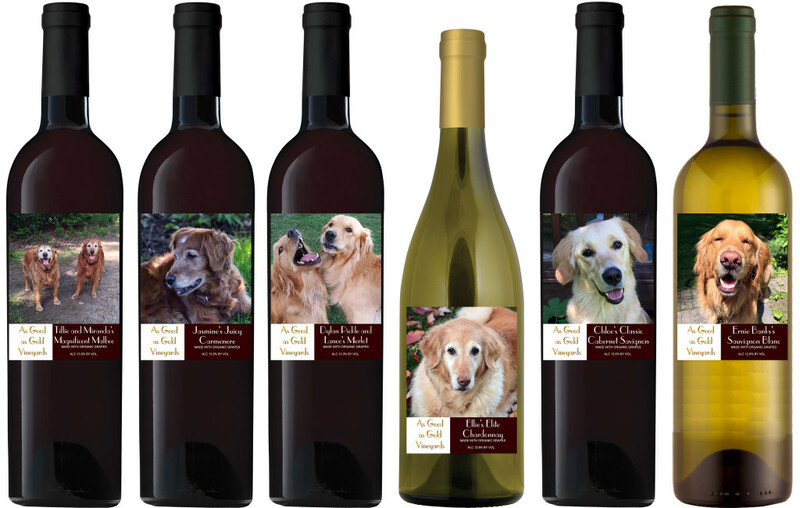 Don’t miss your chance to have your favorite dog, Golden Retriever or Golden mix, on this year’s wine or candle products. It’s easy and free to submit your photo. We will confirm receipt of your submission and confirm if the image quality is sufficient. Please be sure to include your name and your dog’s name. See our Photo Contest Guidelines for full details and photography tips. The deadline is July 15th extended to July 22nd so get your submission in quickly. You can be featured on a wine or candle like last year’s winners.